From cascading waterfalls to glistening glaciers, Iceland is full of hidden wonders waiting to be discovered by the adventurous traveler. Slumbering volcanoes and labyrinths of caves await exploration at Vatnajökull National Park. Crater lakes, glacial lagoons, spring-fed oases and thundering falls greet the traveler at every turn. A hike into the narrow pass of Drekagil—Dragon Canyon—unveils a lair of strange geological formations. Massive ice stalagmites, like a glittering hoard of crystals and gems, jut from the earth in the black lava tube of Raufarhólshellir. In Hverarönd geothermal area, mud bubbles and vents steam, reminiscent of a dragon’s sulfurous breath. Iceland’s many hot springs are one of its largest draws, and visitors flock to relax in the blue, milky mineral-rich waters found throughout the island. Docile and surefooted on rocky terrain, Icelandic horses are a rare breed. Brought to the island 1,100 years ago by Norwegian settlers, they are the descendants of an ancient lineage that exists only in Iceland, where the horses have survived in isolation. 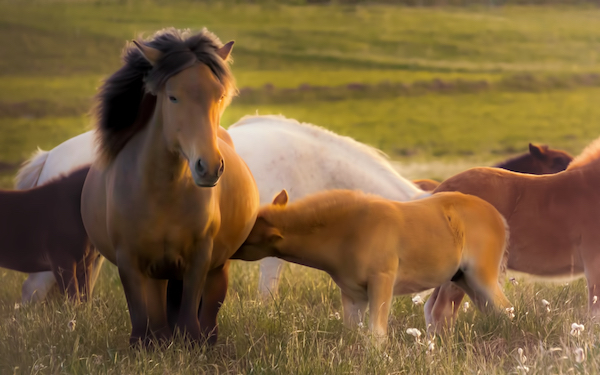 In 982, Iceland forbid the importation of any horse into Iceland, and so the breed has remained pure for over 1,000 years. The typical horse can walk, trot, canter and gallop. But Icelandic horses have two special traits: the tölt and the flying pace, both renowned as swift, gliding gaits. Horseback riding is a wonderful way to traverse the sandy beaches and mountains, journeying off the trodden path amidst natural wonders and grazing sheep. Travelers visit an Icelandic horse farm during our journey ‘Round Iceland, touring the stables and meeting this unique, ancient breed. 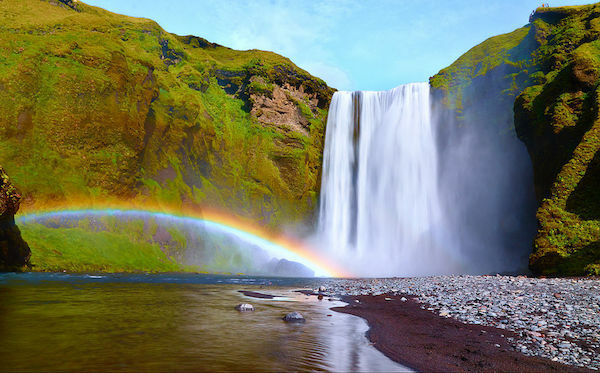 Much of Iceland’s culture is rooted in magic, mythology and mystical beings. 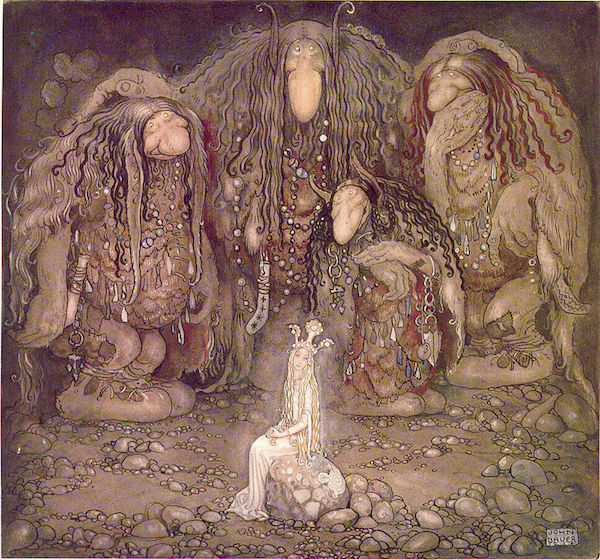 Icelandic trolls are said to live deep in the in the wild highlands. Stories tell of those taken captive in mountain caves by trolls, who use their sorcery to cast spells and lure humans with magic potions. When daylight breaks, night-dwelling trolls turn to stone. One legend tells of two trolls who, when pierced by the sun’s rays, became the basalt sea stacks of Reynisdrangar on the South Coast of Iceland. Nat Hab travelers explore this southern shore, gazing at the rock formations as they walk along a stretch of black sand beach beneath Reynisfjall Mountain. Festivities in Iceland entwine religious celebrations, Norse mythology, and Icelandic folklore. Jól, the Yuletide season, celebrates traditional beliefs such as the jólasveinar, or Yule lads, the descendants of trolls. Starting the night of December 11th, these mischievous brothers arrive one by one for 13 nights to leave small gifts. Children leave a shoe on their windowsill in hopes of receiving a present from the lads, but a naughty child may wake to see a raw potato tucked into their boot! The Yule lads are tricksters, shown by their names: Sheep-Cote Clod, Gully Gawk, Stubby, Spoon-Licker, Pot-Licker, Bowl-Licker, Door-Slammer, Skyr-Gobbler, Sausage-Swiper, Window-Peeper, Doorway-Sniffer, Meat-Hook and Candle-Stealer, respectively. New Year’s Eve is hailed in by a cascade of brilliant fireworks which illuminate the dark sky. Elves are said to be most active during this time, as well as during Midsummer’s Night, and people gather around bonfires to sing songs of the invisible huldufólk, who inhabit enchanted rocks and cliffs around the island. Borgarfjörður Eystri is a fjord in East Iceland where a small village of 100 people lives. There, the ancient hill of Álfaborg, the “Elves’ Castle,” rises 100 feet from the ground, where the queen of the Icelandic elves is said to reside with her court. Iceland’s prospering farms and rolling pastures speckled with cattle ensure its dairy products are superb. Similar to its horses, Icelandic cows have been bred in isolation, rendering a unique species that produces a pure, delicate flavored milk. 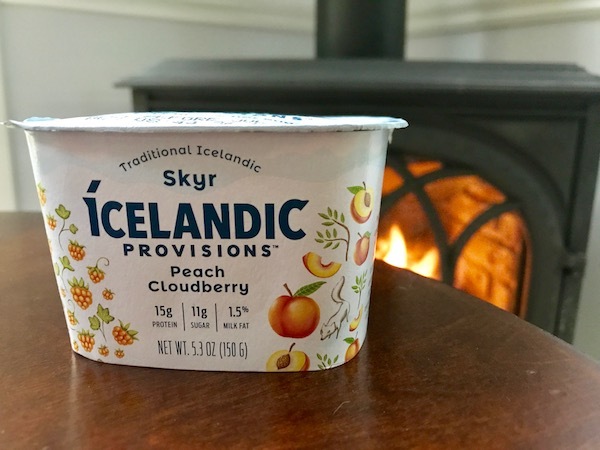 One Icelandic specialty is skyr, a creamy skimmed milk curd. Low-fat and yogurt-like, skyr has gained international acclaim and is now marketed overseas. It’s often eaten with bog bilberries and crowberries, which grow in Iceland’s wild highlands, as well as stone bramble berries, strawberries and blueberries, which can be picked from July through September. It’s no surprise, with Iceland’s crystal streams, fresh air and clean environment, that there is a bounty of high-quality produce. Mushrooms are foraged from the forests, while herbs such as sorrel and thyme are gathered in the countryside. Because of the cool climate, many vegetables are grown in geothermally heated greenhouses, the first of which was built in 1930 in the town of Hveragerdi, where Nat Hab finishes our Iceland adventure. Iceland boasts great multitudes of seabirds, which flock to nesting sites along the coast to breed. Tourists will see the birds display different behaviors in their summer home, singing breeding songs and tending to their eggs and young. Látrabjarg in the Westfjords is home to the largest bird cliff in the world, with nearly half the world’s population of razorbill, and Lake Mývatn is renowned for its great number of breeding duck species. 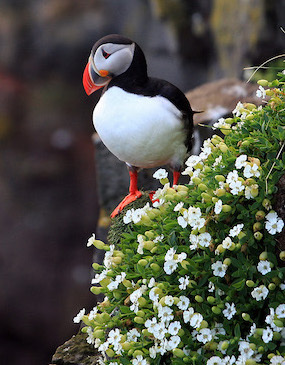 Bird enthusiasts will relish the opportunity to observe thousands of puffins, Arctic terns, black guillemots and eider ducks on Nat Hab’s excursion to Vigur Island in the Westfjords. Iceland’s marine life is another incredible draw. Over 20 species of whales roam the seas surrounding the island, in addition to white-beaked dolphins, harbor porpoises and basking sharks. Nat Hab guests enjoy this rich concentration of wildlife as they seek out harbor seal colonies in Lonafjordur Fjord and search for humpback and minke whales during boat cruises off of the Icelandic coastline.